We where named BEST Destination Wedding Planner! Thank you all who took the time to vote for us. This morning was an exciting morning for us. We where named BEST Destination Wedding Planner in Winnipeg, Manitoba and CANADA! 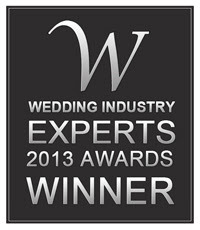 The Wedding Industry Experts Awards are a People's Choice Award. It is by daily votes, and it means a lot to us when people who believe in us, voted for us. Win or loose, when someone votes for you as a company and truly believes in your skills, there is no greater honour. I am not speaking about votes that are solicited and given "just because", I am talking about the real votes that came from people you truly know how hard everyone on this team works every day to help all our clients have incredible memories. Even if we didn't win, to have those genuine votes are what fuels us to be better every day. Everytime we improve ourselves, we are better for our clients. And in the end, that's what matters. We are a company that is passionate about what we do and we pouring our hearts into our work for our clients. Thank you for everyone who shared links and votes because you thought we deserved it. In the end, that is the part of award we take to heart. It is the that time a year again! It's time to get your voting fingers ready to go! It is time to vote for the With Style Team at Travel & Events With Style to win the 2013 Destination Wedding Planner of the year award! Last year Travel & Events With Style was names Best Destination Wedding Planner in Manitoba and top 3 in Canada. To all our gracious clients past, present and future, it's time to vote again! Please click on the link below between Tuesday, April 16 - Tuesday, April 23, 2013. You may vote once a day.